We’ve been making Zucchini Spaghetti and meatballs for about a year now and it’s still one of my favorite dishes. It’s fast and easy to make – we make it all in the microwave. 1. 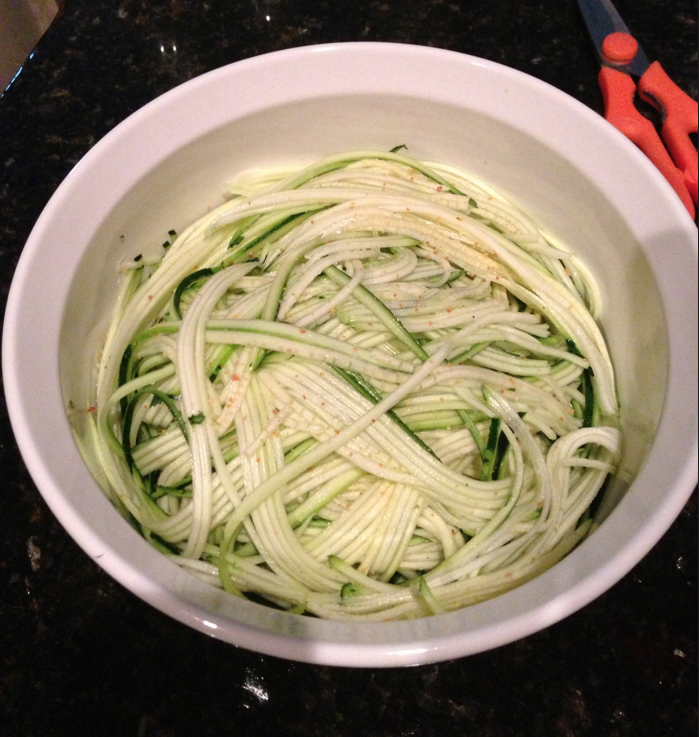 First – we use our Julienne Peeler to get the zucchini into nice spaghetti-like strands. Put the zucchini in a microwave safe, covered dish, like corning ware, etc. We like to add a little garlic salt. We love our Kuhn Rikon peeler. Got it on Amazon for a decent price. 2. Microwave the zucchini for 3-4 minutes on high (for 3-4 zucchinis). 3. Heat up some meatballs and sauce separately. We just use whatever frozen meatballs are on sale. 4. 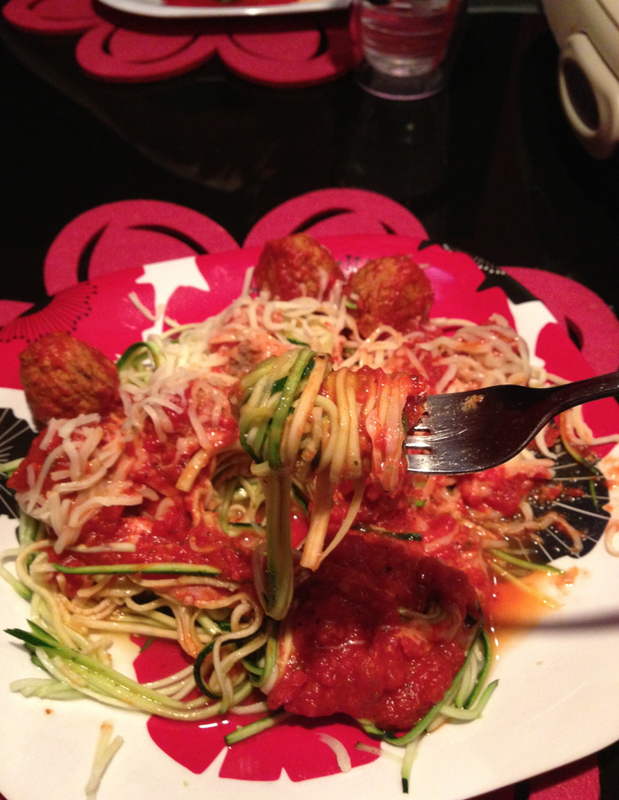 Dish out the Zucchini Spaghetti, top with sauce and meatballs and parmesan cheese if you wish. See – you can’t even tell you’re not eating spaghetti! Haha!